The last news about Gears of War. Watch the movie trailer soon. 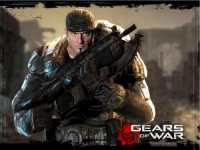 Gears of War is a popular third-person shooter video game developed by Epic Games and published by Microsoft Game Studios. There have been talks of a live action movie adaptation of Gears of War since quite a while, but the film is stuck in development limbo. Director Len Wiseman (who helmed Underworld) was previously attached to the project but he has since left. Newline Cinema is now looking for a new director to take over the adaptation, but with a lower budget in mind: they'd rather do a smaller budgeted, effect-heavy film. So don't expect a sprawling epic, it's more likely to be a straight-ahead invasion story. 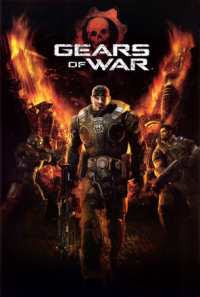 "The movie will follow Marcus Fenix as they battle a monstrous insect invasion. It seems the story will be told with some flash backs and involve a mix of characters." 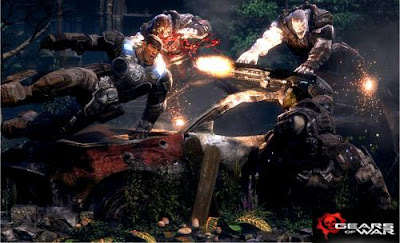 I'm all for a movie adaptation of Gears of War. I'm a bit sad to hear that they slashed the budget, but if they hire the right director and scriptwriter and if they select good actors, the film could still be awesome. More details about the Gears of War movie soon!